Dr. Pow first saw a chiropractor while he was recovering from back surgery he’d had in response to a hockey injury. The improvement he saw made an impact on him, but he wasn’t yet convinced he should consider chiropractic as a profession. It was several years later, after he’d finished a bachelor’s degree in kinesiology at SFU in Canada and had become an athletic trainer, that he made the decision. 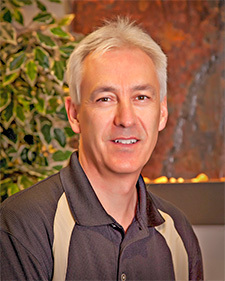 Dr. Pow graduated from Western States Chiropractic College (WSCC) in 1996, opened a practice in Vancouver, and trained students in chiropractic techniques and patient care in the public clinic at WSCC. Dr. Pow and his wife and three boys lead an active life. “I enjoy hiking, golf, and taking wine tours,” says Dr. Pow. “Our family focuses on eating well,” he tells us. “Over the years the boys’ friends have thought it odd we don’t devour cereal and pasta.” But most would say the family’s diet has been proven a success – on it Dr. Pow and his wife have raised up an engineer, a medical doctor, and a chiropractor! Schedule an appointment at (360) 750-7220 to learn more about chiropractic today.